While wood siding leaves an appealing look to your home, it is wise to be aware of what can wreak havoc as well. Wood siding is known to attract different creatures that can destroy the outside of your beautiful Denver home. 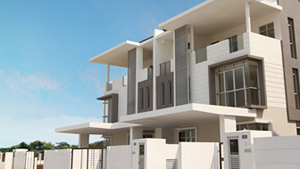 At DJK Construction, Inc., we want to make sure your siding is always in tip top shape. Our siding contractors know what to look for and how to prevent different animals and bugs creeping into your siding. We wanted to let you know what types of critters you should be prepared for, when it comes to your wood siding. Your home is breakfast to a termite. 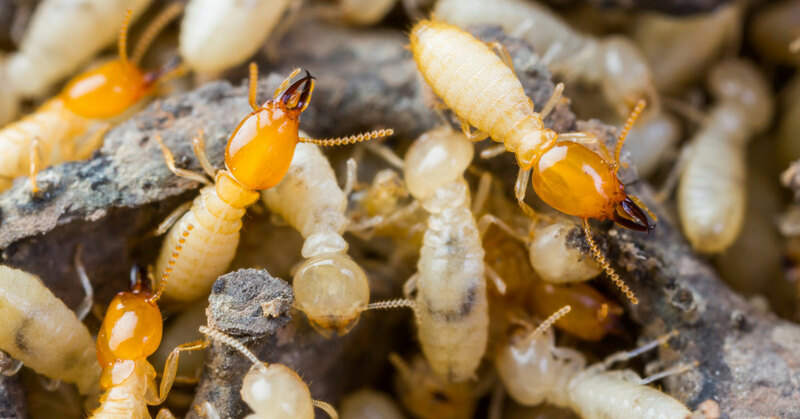 Termites tend to live underground, which wouldn’t seem like an issue. Once a clan of termites has exhausted their food source, they will create a channel of hollow tubes that destroy the structural design of the wood siding. This is dangerous to your home because the termites are hiding the issue because it’s under the surface of your Denver home. These tubes are destroying the foundation yet are difficult to stop, and sometimes aren’t discovered in time. One way to check for termites is to tap on the siding with a screwdriver, if the siding produces a hollow sound, you may have an infestation. Many believe that an ant problem will lie within the home, this is not always the case though. Ants do prefer the inner walls of the home, but once their colony starts to expand, they will as well. They like to burrow into moist wood that can be potentially rotting. You will know you have an ant issue because you will start to see wood shavings. These wood shavings are produced because of the ants making tunnels in the wood. If you keep an eye out you may even see the ants themselves. They are black in color and tiny in nature. If you see these guys near your siding or home, you need to take care of the issue right away. Beetles are dangerous for your wood siding because it is their natural habitat. They feast on the fibers within the wood until they are full grown. Once they have matured, they tunnel back out to the exterior of the wood siding. A well-known sign to show you have a beetle infestation is sawdust and tiny holes throughout the siding. Your siding will begin to look like a sponge, and no one wants that for their Denver home. The way to handle this issue is to cut off the beetle’s moisture. Carpenter bees, in particular, are the real pest. Being a bee in general, can cause an annoyance but being a bee and involving wood siding can cause disaster. The bees will tunnel into the inner workings of the wood and create nests. The main issue is that the bees will keep coming back every season until the problem is taken care of. Carpenter bees are a slightly easier pest to get rid of, which is always good news for your home in Denver. Woodpeckers may appear cute and innocent but they can be quite damaging to your wood siding in Denver. Our siding contractors want you to look out for these birds, so your home doesn’t get ruined. One thing to pay attention for is the tapping. The woodpecker is trying to peck a hole through the wood, and they tend to do this where the siding meets. You will notice little holes all in a line near the edge of your siding. Setting up a bird feeder can help control these pests. 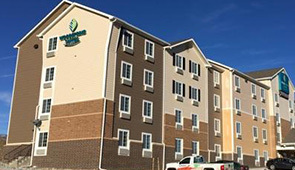 At DJK Construction, Inc., we want to make sure your home is always looking wonderful with its unique wood siding. 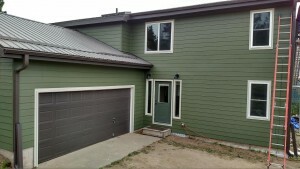 If you believe you may have any issues with your siding, call our siding contractors in Denver.